Posted by Madison Kettlewell on March 1, 2019 in Lifestyles. It’s enough for Ferris students to afford tuition, let alone a brand-new outfit. The Student Fashion Alliance at Ferris is bringing Thrifty Thursdays to campus. The registered student organization (RSO) will be selling clothes donated last semester, with prices ranging from $1 to $8 per item. Thrifty Thursdays will be held in the IRC Connector Thursday, March 21. The event was originally set to occur at the end of February, but the date was changed as a result of difficulties reserving a venue. Ferris public relations senior and Student Fashion Alliance President Kamry Morris hopes holding the event in the IRC will create more traffic. The Student Fashion Alliance will have a variety of clothes available at the event, including business attire, jeans, hoodies and leggings. The Student Fashion Alliance currently consists of their six-member e-board. Morris said they plan on holding future Thrifty Thursdays, but there are no set dates. “It brings a breath of fresh air to campus, and it gives students a different perspective on what fashion can be. You don’t have to go to a high-end retail store to find a nice piece of clothing that can be used for a long time,” Morris said. 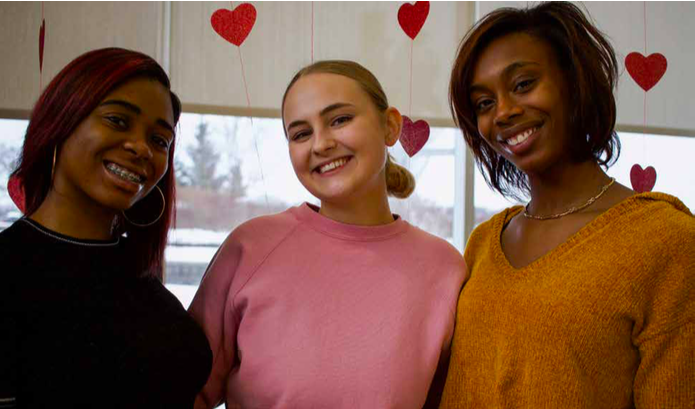 “We were just inspired by making something out of nothing and the idea of that.” The Student Fashion Alliance plans to use the money they raise to start a fund for their organization, such as to help put on fashion shows. Morris said if sales exceed their expectations, they will be looking to donate excess funds.